WASHINGTON — The world’s largest defense contractor is looking to reinvest some of its savings from U.S. President Donald Trump’s tax cuts into research and development as well as internal education funds. Lockheed Martin CEO Marillyn Hewson pledged during a media event Monday that the “landmark” tax cut legislation would have “a significant positive impact on our corporation.” The tax bill was signed into law by Trump in December, with large companies such as Lockheed expected to greatly benefit. Tax funds will increase “investment in research and development and capital expenditures by a combined $200 million,” Hewson said, while also pledging to increase funding for Lockheed’s Ventures investment fund by an unstated amount. The Ventures fund is used to invest in high-tech firms outside of Lockheed’s core business. Reinvestment of tax savings will also be used to expand “education offerings and worker training,” as well as an expansion of a program designed to assist employees with tuition for higher education, the CEO added. It will also increase corporate giving toward science, technology, engineering and mathematics education programs. 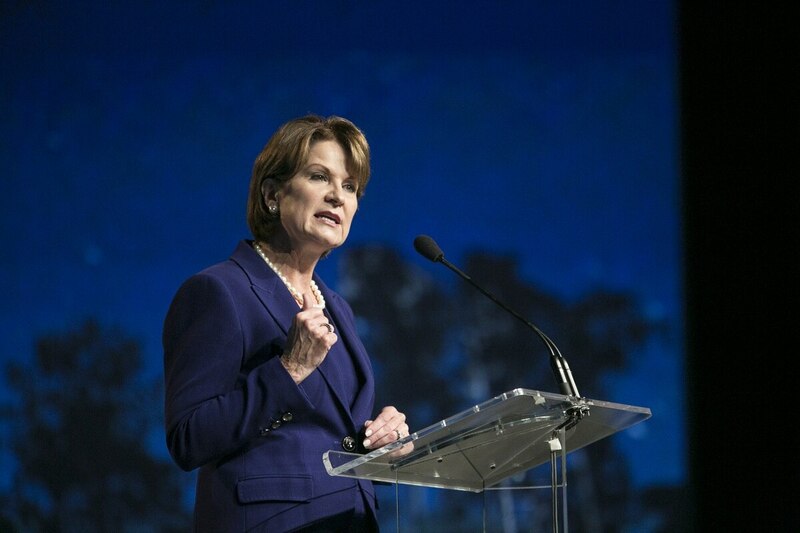 It is unclear exactly how much money Lockheed will have saved through the tax legislation, but analyst Byron Callan of Capitol Alpha Partners estimates the company will gain at least $500-$600 million. While it’s possible some or all of those moves were already underway before the tax bill was passed, Lockheed’s senior vice president of government affairs stressed they were a direct result of the new legislation. Neither Hewson nor Rangel spelled out where the R&D investments would be going, but the company CEO did highlight four technology sectors that the company would be looking to beef up in the coming years: hypersonic weapons, lasers, artificial intelligence and electronic warfare. Given the amount of funding for the R&D boost, those funds will likely improve, rather than transform, the company’s previous investments in those areas. Story updated 3/5/18 8:30 PM EST with comments from Callan.